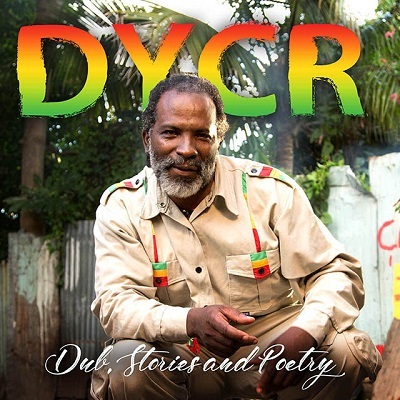 DYCR Delivers Third Reggae Dub Album Dub, Stories and Poetry - The best way to start in everything you do is giving praises and being grateful with a thankful heart and that’s exactly how this album starts with its first track ‘Jah’. Dub, Stories and Poetry is a unique fusion of authentic Reggae sound and dub poetry at its best. As an exceptional poet, DYCR has written his lines and lyrics based on his life experiences and struggles. D.Y.C.R. continues to chant, tales of love, freedom and stories of relationship in a humorous but realistic way which is pure and true to the Jamaican culture. Dub, Stories and Poetry lives up to expectations with 16 lively inspiring songs, which comes as no surprise given that DYCR was dubbed the “Jamaica’s loudest mouthpiece”. DYCR declares his love to his sweetheart in ‘Poet of Love’ and ‘Nyrie’ whilst in ‘Mothers Love’ it’s a bittersweet sensation. DYCR takes on the social phenomena of ‘Bleach and Tattoo’, and balances this with a taste of Dancehall ‘He Don’t Love’ featuring Terry Ganzie and Little John. Dub, Stories and Poetry is a special collection of songs filled with thunderous dub rhythms and musical scorchers from start to finish; it is certainly a remarkable album. Available for sale on iTunes, Amazon, Spotify, and all digital platforms worldwide.